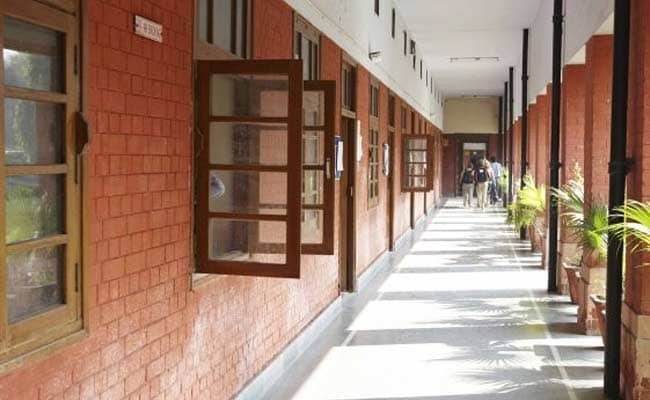 New Delhi: Delhi University Undergraduate admission (DU UG Admission) for the academic session 2017-18 was tentatively scheduled to start by the end of March this year. The admission notification is not out though but is expected to begin soon. The CBSE board exams are over and more than a lakh students would soon queue up to Delhi University for admission to 77 affiliated colleges. The University of Delhi conducts application process in the online mode now which is a huge sigh of relief for students. The online application process allows students from even the remotest corners of the country to apply for admission at the admission. Recently six DU colleges featured in the top ten colleges list as per NIRF India Ranking 2017 released by Ministry of Human resource of Development. The performance of DU colleges in the NIRF ranking shows the University's prowess in terms of teaching, research, infrastructure, and outreach. The admission process at DU generally involves two processes: direct admission based on cut off marks and admission based on entrance exam. For courses where admission is based on cut off marks, the university releases cut off marks for different courses and colleges. For admission to certain courses such as B.Tech., BMS, BBA - FIA, BBS, BA (Hons.) Economics etc. the university conducts entrance test. For entrance-based courses, there is no cut off marks required, but students got to have a minimum required percentage in 10+2. For candidates who complete their 10+2 from a board which is not accredited with AIU, UGC or MHRD, the university will release a separate merit list. The University has a unique grade point conversion system for such cases.